Taxi Service in and around Utrecht. TCMN Taxi Centrale Midden Nederland provides over 1000 Schiphol taxi rides per month. You travel with TCMN Taxi Centrale Midden Nederland from your home / hotel or business until the departure from Schiphol Airport, The Hague Airport, Eindhoven Airport or other European Airports at very competitive rates taxi. TCMN Taxi Centrale Midden Nederland offers you addition to our airport taxi services also taxi rides within the region at very low taxi prices. TCMN Taxi Centrale Midden Nederland designed a system designed to calculate your taxi price in advance. You just have to enter departure and place of destination. TCMN Taxi Centrale Midden Nederland is the only taxi company with this system. The taxi price you see is the lowest taxi fare from the region of Utrecht, because we give big discounts on legal taximeter rates. The taxi system that we developed contains more than 100,000 fixed low taxi fares. 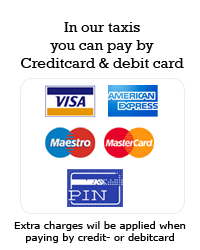 If you pre-ordered a taxi with us, you can be sure that your taxi is actually at the time agreed with you at the door. And even if you call us from Utrecht for a taxi at that time, you can assume that we are within a 20 minutes by taxi from you rijden.Sinds our start we offer you 24 hours 7 days a week fast and secure taxi service at very sharp prices. How much is a taxi to the station? Or what are the costs of a taxi from Utrecht to Schiphol Airport? The answers to these questions can be found at TCMN Taxi Centrale Midden Nederland. We offer always offer you low fixed prices. Book your taxi easily online through our website. 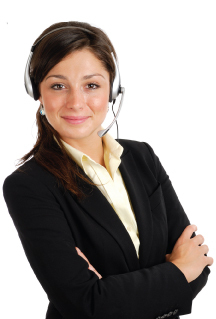 After completing the reservation you will receive a confirmation within 12 hours of us by email. In this confirmation you will receive a link to our survey. Here you can choose what you like about the website, the car, the driver and you can rate the entire ride. You also have the possibility for sugessties or comments. Your opinion is important to TCMN Taxi Centrale Midden Nederland. With your opinion we can make the services only better. TCMN Taxi Centrale Midden Nederland has taken a step ahead of all other service providers by offering a very simple and very clear application that enables you to order your taxi preknowing how much it will cost either for the small, medum or large taxis through out or new taxi price calculating system that entitles you, after inputting your deaprture point and arriving point, to know exactly what would be the cost of your trip. TCMN Taxi Centrale Midden Nederland offer you directly Taxi Service.